Minister for the Environment Phil Hogan claims comments made on Tonight with Vincent Browne damaged his reputation and caused him extreme stress. The Minister for the Environment and Local Government, Phil Hogan, is suing TV3 alleging defamation arising out of comments made by the broadcaster Vincent Browne, the High Court has heard. 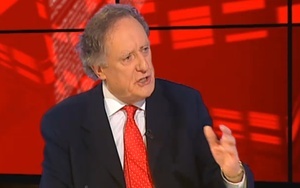 The Minister claims he was defamed on the Tonight with Vincent Browne on May 20th 2013 in an exchange between Mr Browne and Fine Gael TD, now Minister for Children, Charlie Flanagan, who was a panelist on the show. It is alleged Mr Browne described Minister Hogan as a “bigoted racist” arising out of representations made by Mr Hogan on behalf of a constituent relating to the suitability of housing for a Traveller family in a vacant council property in Co Kilkenny. The Minister claims the remarks had meanings including he was prejudiced towards Travellers, had sought to prevent the housing of members of the Travelling community, had breached the Incitement to Hatred Act and was not suitable for his role as Minister or a TD. He claims the allegedly defamatory remarks have damaged his reputation and caused him extreme stress. He is seeking damages and a correction order and an order directing TV3 remove the broadcast from its website. TV3 denies the Minister’s claims on grounds including that Mr Browne’s statements consisted of an opinion honestly held by him. This opinion was based on grounds including the Minister made a number of public statements, including that he had contacted Kilkenny County Council about the matter, it claims. In a pre-trial application yesterday, Mr Hogan, represented by Rossa Fanning BL, asked the High Court for an order amending his original statement of claim. A hearing date for the action has yet to be fixed. 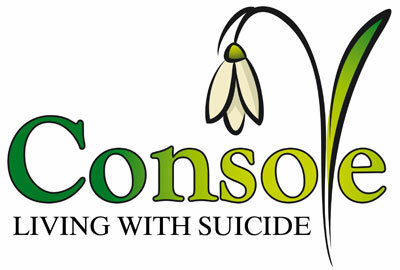 The charity Console said significant changes and investment in research were required to properly understand and respond to the tragedy of suicide in a timely fashion. 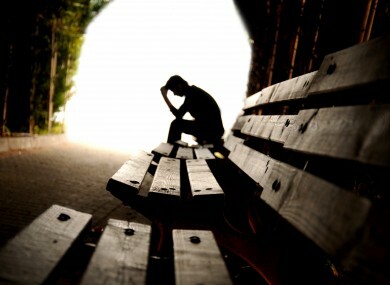 Suicide among young people dropped by more than 20% last year, new figures from the Central Statistics Office show. And overall deaths by suicide fell by more than 6%. But among older people, suicides have increased by more than a quarter. The CSO vital statistics show there were 475 suicides registered in 2013 compared with 507 in 2012. The number of deaths by suicide in people aged 15-24 was 57 last year, down by more than 20% on 2012, when there were 74 such deaths. But the suicide figures for people aged 45 to 54 years increased from 86 in 2012, to 108 last year. This age group had the highest number of registered suicides for both men and women, with male deaths making up 80% of the total. People living in some areas of the country also seemed more vulnerable to suicide than others, according to the statistics. While the average rate across the State was 10.3 per 100,000 people, Cavan had a 20.4 rate, the figure was 20 for Carlow and 19.4 for Kerry. The lowest rate of recorded suicide was nil in Leitrim and 2.1 in Waterford City. However, there may also be variations in how suicides are registered. The national suicide prevention and bereavement charity Console said it was concerned at the rise in suicides in the older age group. Director of services Ciarán Austin said it mirrored a rise in calls to the charity’s helpline from people in the 45-54 age category. “In particular, we saw a huge increase in calls to our rural helpline in 2013 due to the fodder crisis,” he said. He described the regional data as alarming and said the charity also examines deaths categorised as of undetermined intent when looking at suicide. These have shown a drop from 82 in 2012 to 65 in 2013. “However, we need significant changes and investment in research as the lack of accurate up-to-date information is impeding our ability to understand and respond to the awful tragedy of suicide in a timely fashion,” he said. The charity welcomed the drop in suicides in the 15-24 age group but said Ireland still had the fourth highest suicide rate in the EU in that category. “Console is calling for a real-time register of suicide data so that resources can be targeted at areas to prevent clustering,” Mr Austin said. The console 24-hour helpline is 1800 247 247. In other data released by the CSO today, the number of births to teenagers continued to decline, down from 1,639 in 2012 to 1,381 last year. Since 2001, the rate of teenage births has almost halved. Dieters choosing low-fat foods in the hope of cutting calories should beware: they can contain even more calories than regular foods, research has found. A new study found that while most low-fat supermarket products contain a third fewer calories than their regular fat version, ten per cent actually have more or the same calories, mainly due to added sugars. Obesity specialist Dr Matthew Capehorn said weight-conscious shoppers should realise that choosing low-fat products made by brands including Weight Watchers could hamper their efforts to cut calories. The study by the Rotherham Institute for Obesity, where Dr Capehorn is clinical director, found that Weight Watchers wholemeal thick slice bread had more calories than any own label, regular fat equivalent, while Weight Watchers sliced cheese also had more calories than own label equivalents. Weight Watchers wholemeal thick slice bread had more calories than any own label, regular fat equivalent. Weight Watchers sliced cheese also had more calories than own label equivalents. Asda natural low-fat yoghurt had more calories than Asda natural yoghurt. Birdseye light and crunchy breaded chicken had more calories than Birdseye crispy chicken. Sainsbury’s low fat custard had the same calories as Sainsbury’s custard. Asda own brand low fat Italian dressing had more fat than the regular fat alternative. It also found that Asda natural low-fat yoghurt had more calories than Asda natural yoghurt, Birdseye light and crunchy breaded chicken had more calories than Birdseye crispy chicken, and Sainsbury’s low fat custard had the same calories as Sainsbury’s custard. Often, extra sugar was added to boost the taste of the lower-fat foods. He began the study to establish whether low-fat versions of products were nutritionally healthier than their regular counterparts, mainly in terms of sugar and overall calories. Of the ten most popular UK supermarkets, four provided enough information online for researchers to complete the study in November: Sainsbury’s, Asda, Waitrose and Tesco. Fat, sugar and calorie content for any low fat food that had a directly comparable regular fat product made by the same brand were recorded. Of 62 products that matched these criteria found in the four supermarkets, 56 low-fat products had fewer calories, and on average overall the low-fat products had 31 per cent less calories. However, ten per cent of low fat foods analysed still had more or the same calories than the regular fat version, while 37 of the 62 products (60 per cent) had less sugar than the regular fat alternatives. One low-fat product, Asda own brand low fat Italian dressing, had more fat than the regular fat alternative. An example of where there was an obvious calorie saving with the lower fat version was Benecol light spread, which saved 216 kcals/100g compared with Benecol buttery spread. Weight Watchers said it was redeveloping its wholemeal thick sliced bread after research found it had more calories than any ‘own label’ supermarket brand. A spokesperson said: ‘Weight Watchers continues to strive to provide customers with high quality Weight Watchers Foods and we are constantly evolving our products to ensure this. The findings by the Rotherham Institute for Obesity were presented at the European Congress on Obesity (ECO) in Sofia, Bulgaria, yesterday. Three decades after it drifted away, millions of kilometres from Earth, a vintage space probe has returned and is being revived, to be put back in service through a crowdfunded initiative by space science enthusiasts. It is the latest chapter in the remarkable story of the ISEE-3 scientific spacecraft. It was launched nearly 36 years ago, was reconfigured into a comet-chasing platform, then sailed out of radio contact with Earth for a decade until it re-emerged in 2008, when its orbital path dragged it back towards our planet. On Thursday, a group of scientists gathered at their own initiative at the Arecibo radio telescope in Puerto Rico re-established two-way communications with the spacecraft and started to command it to send data about the state of its onboard systems. “SUCCESS! We are now in command of the ISEE-3 spacecraft!” the team tweeted at 4 p.m.before confirming by Thursday evening that ISEE-3 was transmitting telemetry again. To resurrect ISEE-3, they had raised nearly $160,000 from 2,238 online donors, pored over old NASA documents and programmed software-defined radio devices to link up with a spacecraft whose communications hardware had long been retired from service on Earth. The National Aeronautics and Space Administration had agreed to let the private group – which calls itself the ISEE-3 Reboot Project – take control of its wayward spacecraft. “We have a chance to engage a new generation of citizen scientists through this creative effort,” astrophysicist John Grunsfeld, a former astronaut who is now associate administrator for NASA’s Science Mission Directorate, said in a communiqué announcing the agreement. The ranks of the ISEE-3 Reboot Project include Dennis Wingo, president of the aerospace engineering company SkyCorp, and Keith Cowing, a former NASA astrobiologist. The group has engineering students in their 20s and a space guru, 81-year-old retired NASA mission designer Bob Farquhar. Dr. Farquhar, an expert in orbital mechanics, has been a key character in ISEE-3’s storied life. The ISEE (International Sun-Earth Explorer) program was an international 1970’s project to study solar wind and the Earth’s magnetosphere. The ISEE-3 spacecraft was launched on Aug. 12, 1978, in the days when disco still dominated the airwaves and the Montreal Canadiens won the Stanley Cup every spring. It travelled to the Lagrangian 1 libration point – a stable spot where the gravitational pull of the sun is balanced by that of the Earth and its moon – about 1.5 million to 1.6 million kilometres from our planet. By 1982, with ISEE-3 having completed its prime observation mission, Dr. Farquhar came up with a new goal for the spacecraft. The famous Halley’s Comet, which revisits the solar system every 75 to 76 years, was expected back in 1986. The Soviet Union, the European Space Agency and Japan had readied missions to study Halley but a cash-strapped NASA had no planned flights to the comet. Dr. Farquhar devised a way to steer ISEE-3 through a complex trajectory (on a graphic it looks like a tangle of noodles) towards another approaching comet, Giacobini-Zinner. During an 18-minute pass in 1985, ISEE-3, which had been renamed ICE (International Cometary Explorer), crossed the Giacobini-Zinner comet’s tail, collecting data that could be used as a benchmark for the Halley missions of the following year. 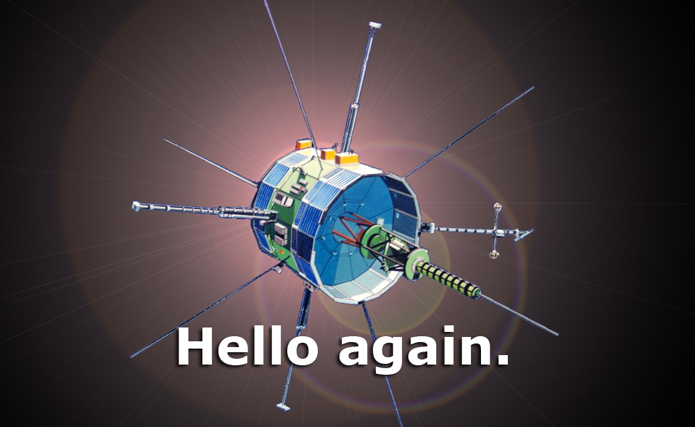 After being directed upstream of Halley to gather more observations, ISEE-3 moved increasingly far away and eventually drifted out of reach for reliable radio reception. The last contact was in 1999. Nearly a decade later, in the fall of 2008, one of the antennas of NASA’s Goldstone Deep Space Communications Complex, in California’s Mojave Desert, picked up a signal from ISEE-3. The spacecraft’s orbit was taking it closer to Earth again and now Dr. Farquhar suggested that, in the summer of 2014, when the probe would be close to the moon, it could be redirected back to its original mission, observing the sun from the Lagrangian 1 libration point. However, in a case of history repeating itself, NASA is again going through budgetary hard times. In April, senior NASA officials decided they could not fund a revival of the ISEE-3 project. Four days later, a private initiative began. It wasn’t the first time outsiders came to rescue a NASA deep-space project. In 1980-81, a grassroots campaign called the Viking Fund collected $100,000 to make sure NASA would have enough money to keep analyzing the data from its Viking 1 Mars lander. This time, it was even more challenging because the project only had a month to start raising money and try to find a way to recontact ISEE-3. Earlier this month, they reached their initial $125,000 fundraising target. Ten days ago, they started getting beacon signals from the approaching spacecraft. Now, they will test its systems so that later this summer they will refire its thrusters, swing it by the moon and send it on to a new mission. It was only hours before David Drumm filed his so-called schedules and statement of financial affairs, or Sofa, to a US court giving the court-appointed trustee overseeing his bankruptcy what was supposed to be a full picture of his finances. Mr Drumm’s concern about “MB” was a reference to Mercedes Benz and the impression that the reference might leave with anyone looking at the form. The stripped-down description of the vehicles as a “2010 Sedan” and “2011 SUV” in the eventual Sofa form he filed on October 29th, 2010 contained no mention of the prestigious motor marque. The values assigned to the vehicles – $47,000 (€34,300) and $64,000 (€46,700) respectively – were the only giveaway as to the brand of car. The court was told that this was an example of David Drumm actively deciding what was to be included or excluded from his bankruptcy statements. It wasn’t the only time that the former Anglo Irish Bankchief executive’s concern about the media’s interest in his financial affairs surfaced during his five-day bankruptcy trial in Boston which ran this week and last. Three days before he filed for bankruptcy, Mr Drumm told Ms Zelevinsky in an email that it would be good to file his financial statements early. “Let the media get it out of their system this week while things are relatively calm and the fizz has gone out of the bankruptcy a bit,” he wrote. The cat-and-mouse relations between the media and the Drumms featured several times during testimony at the trial. 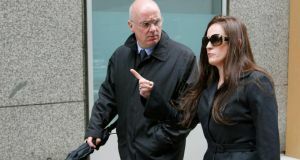 David Drumm told the court that the couple used his wife’s maiden name, Lorraine Farrell, to buy a new family home in Wellesley outside Boston in January 2010 “because she was afraid of media attention”. The couple had “visitations” from the “tabloids” at their house on Cape Cod, he told the court, while Ms Drumm, in response to questions from her husband’s lawyer, David Mack, said she had been “ambushed” when she went out of the court building to get a sandwich on Wednesday. “If my name appeared on it,” said Ms Drumm in testimony on Wednesday, referring to the Drumm name appearing on the title deeds of the Wellesley house, “the first thing that would happen is that the media would be on my doorstep yet again”. The former Anglo Irish Bank, now Irish Bank Resolution Corporation, and Mr Drumm’s bankruptcy trustee claim that the financial arrangement agreed between the couple on the purchase of the Wellesley property was another example of a series of cash and property transfers that he failed to disclose in his original sworn bankruptcy statements in October 2010. They argue he should not be entitled to have all of his debts prior to that date wiped clean with a discharge from bankruptcy because, they claim, he defrauded his creditors by making these transfers and because he made false oaths in his bankruptcy statements by omitting those transfers. During M/s Drumm’s testimony on Wednesday, the bank’s attorney Ken Leonetti put it to her that her husband transferred a total of about €2 million in cash and property to her. These transfers took place since the deepening crisis at Anglo in 2008 forced her to seek money of her own in the event that her husband was to “drop dead of a heart attack”, as she told the court. She said she thought that the total was close to €1 million and admitted that she had no idea that he had transferred almost all of his cash to her. M/s Drumm told the court that a separate property agreement signed by the Drumms stating that a $831,000 cash deposit used to buy the Wellesley house in January 2010 was drafted to show that this was her money and that it would be returned to her in the event that the house was sold. Lorraine Drumm appears to have been as concerned about protecting her own money as she was about protecting her own privacy from the media. Peter Covo, a conveyancing lawyer who was retained by the Drumms to buy the Wellesley property, told the court that at the meeting in his office after the closing of the Wellesley purchase, Ms Drumm kept saying “over and over and over” that the money was hers. “She kept saying: ‘It is my money, it is my money, it is my money,” he said. The alleged Wellesley transfer still didn’t appear in the amended bankruptcy statement Drumm filed in May 2011, seven months after his original statement, which he admitted in court contained “a lot of errors”. He claimed he was “in a state of panic” when he learned at a creditors’ meeting on April 1st, 2011, that cash transfers should have been included in the original statements. His bankruptcy lawyer Stewart Grossman testified last Friday that he had warned Mr Drumm – before he filed for bankruptcy – that he could get in criminal and civil trouble if he didn’t disclose everything in a process that he described to Mr Drumm as “like getting naked in public”. Mr Drumm’s trustee believed these mistakes didn’t add up. It was “very unusual” for someone of his background – a banker, an accountant and a businessman – to have made such mistakes in his filings, said Boston lawyer Kathleen Dwyer. Drumm’s errors took months to a fix and she felt like he was trying to “wear you out” by “dragging” her back into successive creditors’ meetings in order to seek further disclosures, she said. “If you are an honest debtor and make an honest mistake, you fix it – there is no working on it or ‘we will have it done by next month’. That is what was going on this case,” said Ms Dwyer, who has administered 15,000 bankruptcies in a career spanning back to the mid-1980s. Judge Frank Bailey will hear closing arguments from both sides in the case next Wednesday. His ruling is expected some time over the coming months. If he grants Mr Drumm a discharge, the 47-year-old former banker will walk away debt free from bankruptcy to start again financially. If he doesn’t, Mr Drumm could face what Grossman warned him before he voluntarily chose to “get naked in public” in Massachusetts: a potential clawback of about €2 million in cash and property transfers to his wife. An INMO study is looking at reasons for soaring levels of bullying in the health service executive. 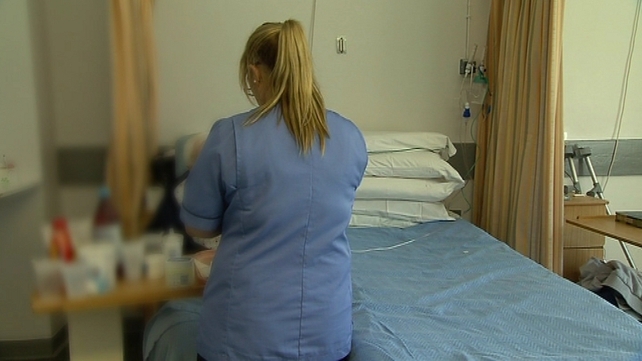 A steep rise in bullying of nurses and midwives is being linked to the pressures caused by understaffing in the health service. The Irish Nurses and Midwives Organisation says it is dealing with 25-30 incidents of bullying at any one time. The issue is taking up half of the time of its officials, who have represented both those making allegations and colleagues who are the subject of bullying complaints. 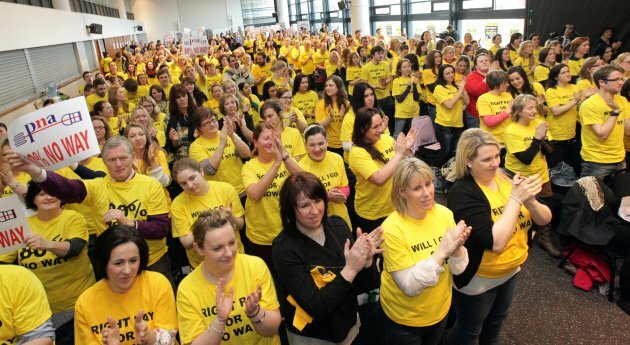 The union has commissioned the National University of Ireland, Galway and the National College of Ireland to carry out a nationwide study of the profession with the aim of establishing the extent to which bullying is affecting the working lives of nurses. While the Health Service Executiveoperates a policy on bullying and harassment in the workplace, the INMO says nurses and midwives continue to experience workplace bullying with negative consequences for their personal health and relationships. Prof Maura Sheehan of NUI Galway, who is leading the study, said focus groups held with nurses revealed “shocking and very disturbing” levels of bullying. Minister of State Alex White (Above right picture) made a brief statement on the issue during the debate in the Dáil on the Bill providing for extension of free GP care to children aged under six. The Government has ordered the suspension of the ongoing mass review of medical cards. The review has been suspended while a new framework for awarding medical cards is drawn up, which will for the first time take account of a person’s medical condition. Up to now, medical cards are awarded on the basis of financial means, although the HSE may exercise discretion where an applicant has major medical needs. 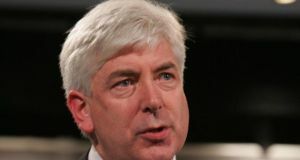 Minister of State at the Department of Health Alex White announced the U-turn in the Dáil today during a debate on the Bill to extend free GP care to children aged under six. The Cabinet sub-committee on health, which met this morning, ordered the change of policy following weeks of sustained criticism over the removal of discretionary cards from patients. Mr White said the Government was very aware of public concern on the issue. As a result, the Cabinet sub-committee had decided that a policy framework should be drawn up in a manner in which medical conditions were taken account of in the assessment of eligibility for a medical card. An expert panel will be convened to decide on the range of conditions which would be relevant in this regard, he said. It is likely the move will require legislation before it can come into force. Mr White said that in the light of this, it had been decided that the current review of medical cards be suspended. The Department of Health is to draw up a policy paper setting out the path toward full rollout of free GP care for all and the Minister for Health would bring a memo to Government on the issue, he said. Mr White pointed out that there are significant regional variations in the award of discretionary medical cards, from 24 per 1,000 cards in Co Cork to 4 per 1,000 in Co Meath. Backbench Fine Gael TDs, who raised the issue at a parliamentary party meeting a month ago, welcomed the change in policy even before Mr White stood up in the Dáil to announce it. The ongoing mass review of medical cards provoked huge controversy after a series of hardship cases emerged in which extremely sick children and adults were refused a medical card or had a card removed. The issue is believed to have played a significant role in the Government parties’ disastrous performance in last week’s European and local elections, with 57 per cent of the electorate telling one exit poll it was the main issue which determined their vote. Responding to criticism of his stance on the issue, Taoiseach Enda Kenny had pledged to “fix” the problem in relation to discretionary medical cards. Any decision to restrict the HSE’s programme of reviewing medical cards will limit its ability to make the savings required of the health service in last month’s Budget. By the end of March, the HSE was already running €80 million over budget. 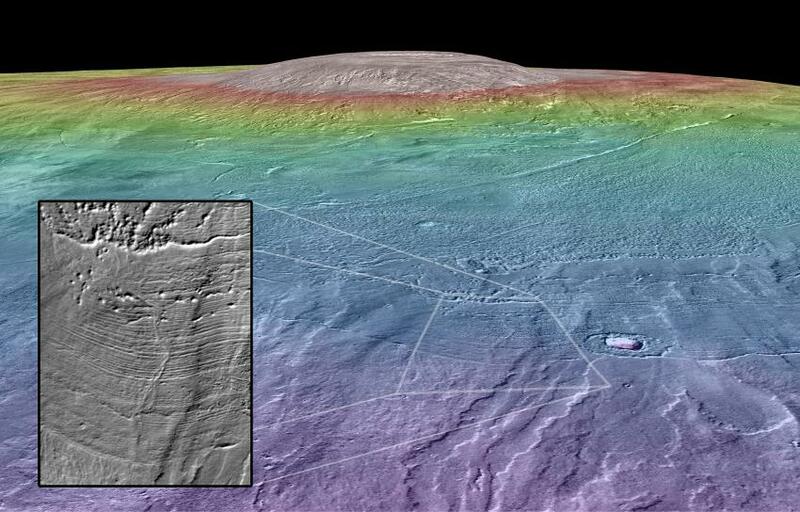 The slopes of a giant Martian volcano that was shroud in ice 210 million years ago may be one of the most habitable environments found on the red planet to date according Brown University geologists. Arsia Mons is the third tallest volcano on Mars and, at nearly twice the size of Mount Everest, it’s one of the largest mountains in our solar system. A new study out of Brown University speculates that microbial life may have existed at the foot of this mountain — and it could have been there for thousands of years. Researchers believe that heat from volcanic lava and the presence of ice may have combined to create the hospitable conditions. According to lead author Kat Scanlon, a doctoral student at Brown University, the icy lakes at Arsia Mons would have held hundreds of cubic kilometres of meltwater — a precursor to life — and that environment may have been sustained for centuries. While 210 million years ago sounds ancient, it’s not as old as the more than 2.5 billion year-old potential habitable zones that Mars rovers have turned up. The theory that glacial ice once existed on Arsia Mons has been around since the 1970s and it has been re-visited time and again over the years. In fact, Scanlon’s collaborator Jim Head believes that some of the glaciers may even still exist. “Remnant craters and ridges strongly suggest that some of the glacial ice remains buried below rock and soil debris,” he said in a statement.